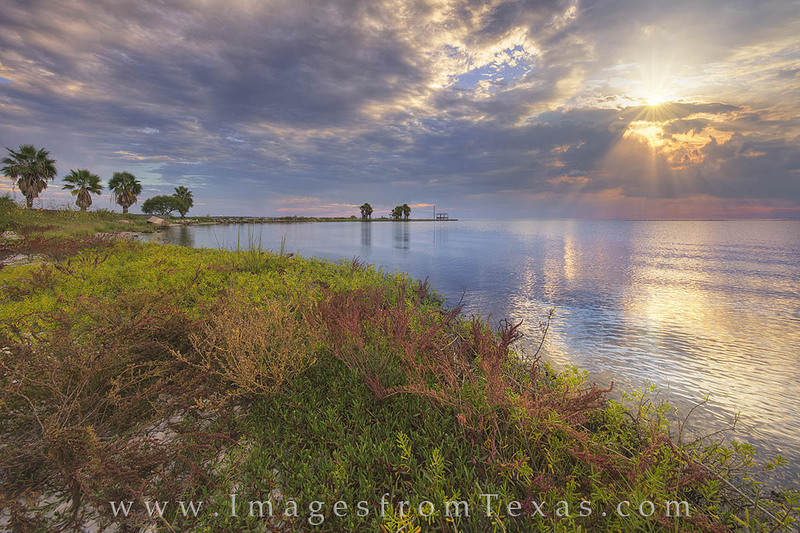 On an October evening along Texas’ Gulf Coast, the sun breaks through the clouds for a brief time in the early evening. The waters of Copano Bay stretch out in the distance, and it was a pretty nice way to end the day as I enjoyed this area of the Lone Star State. Photo © copyright by Rob Greebon.